Reviewed by Adrian Brady in the Morpheus Tales Supplement 22 and reprinted by permission. 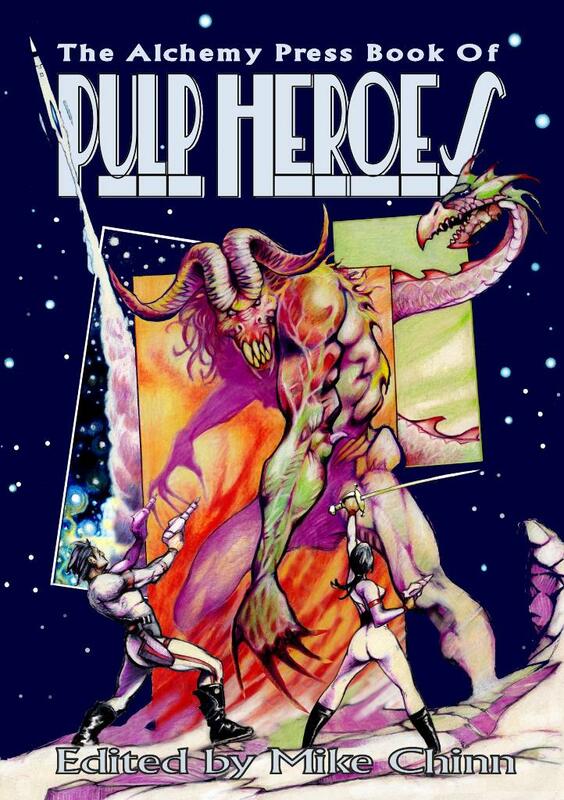 An amazing collection of original pulp hero stories, this is a perfect book for a genre fan who has yet to discover the delights of the more traditional genre heroes. Imagine a comic book superhero in prose form. That’s what you get here with the seventeen stories included in this collection. Vigilantes, larger-than-life villains, hard-boiled detectives, and loads more. These short stories will give you a pulp fix, but I wanted more. Stories by Mike Resnick, William Meikle, Joel Lane, Peter Crowther, Allen Ashley, Peter Atkins, and many more, write short stories in the pulp vein. Sparkling with enthusiasm and knowledge, these stories are immensely exciting, over the top, and brilliant. All pulp fans should read this book, and for those unfamiliar with Doc Savage, Tarzan, The Spider, Fu Manchu, and others, this is a great place to start. Pulp brilliance. Genre fiction at its comic best. Visit, also, the main Morpheus Tales website. This entry was posted in Reviews and tagged Mike Chinn, Pulp Heroes, reviews by alchemypress. Bookmark the permalink.